I’m prepping a release of StudioShell by the end of January. This release will include overdue support for Visual Studio 2012, and contain a ton of small fixes (and a few rather large ones). As I wrap up this 1.5 beta release, I'm vacillating with certain new features I'm not sure everyone would want. For instance, in my local StudioShell profile script, I've added menu items for projects, code elements, and files that allow me to quickly mount the studioshell prompt to that location. E.g., right-click on a class, select "Mount this Class", and StudioShell magically does a push-location to the class location in the code model tree. Similarly, right-click on the class, select “Mount this File Location,” and StudioShell changes location to the file system folder containing the code file. There’s a ton of these little things floating about. While these are useful, I don't think they necessarily need to be made a part of StudioShell. I think they deserve their own place in the community. So I’m creating a new StudioShell.Contrib project to collect these little helpers. I’m not sure where this project will be hosted yet – either alongside StudioShell on CodePlex or perhaps on GitHub - your input is welcome. I found an existing suggestion on uservoice that closely mirrors my previous post about using PowerShell as a Visual Studio project and build scripting platform. So if you agree, please spend some votes on this suggestion, and thank you! Those of you that know me well know I don’t have many strong opinions. I tend to keep multiple perspectives and work in whatever limits are provided. So when I do express a strong opinion, it tends to be backed up with experience and reason (or at times, alcohol). Replace the format of all project and solution files with PowerShell scripts. I hear you groaning – just hear me out. I have many reasons for wanting this – too many to list all but the highlights here. 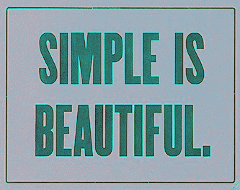 In a nutshell they all boil down to the notion of simplicity. A build has two broad parts: data that defines WHAT to build, and logic that defines HOW to build it. E.g., your typical C# project file contains a list of source files and project/assembly references, and a set of instructions for accomplishing specific things with that data – such as producing assemblies or deploying a website. It’s simple to express data in PowerShell. You can declare arrays and hashtables inline. You can create complex object hierarchies if needed. It also simple to express data in XML. After all, that’s what XML is for. It’s simple to express logic in PowerShell; like data and XML, expressing logic is what a programming language is designed to do. However, expressing logic in XML is … well, “cumbersome” is a generous word. “Obtuse” is perhaps a better choice. At this point, the logic of your custom build task is about as far away from the build as it can get – inside of a binary dll that now must be packed around with the project file. You have literally no inroad to the task in the same band as the build – all information about using the task (its name, dependencies, parameters, outputs, etc) must be communicated elsewhere. There is no step 2. Again, simplicity. Moreover, PowerShell is explicitly transparent – documentation is a get-help command away, and the built-in discovery mechanisms let you know what’s there. Plus, the build logic stays with the build. If the build was “just PowerShell,” this would be a piece of cake. In fact, I’ve taken to using PSake to drive my builds these days for this very reason – so I can maintain a consistent expectation of the build from one location to the next. 47:   <!-- To modify your build process, add your task inside one of the targets below and uncomment it. 48:        Other similar extension points exist, see Microsoft.Common.targets. 32:         throw "$buildFlavor is not a valid build configuration"
Anyway, opinion expressed. Back to work.